Though 'Double' didn't win an Oscar in 1945, its the film people talk about when they talk about noir, J.P. Devine writes. Like rock ‘n’ roll, you can’t kill film noir. Its famous run was from 1941 to 1950, but it keeps coming back. Film noir is the undead of movies. Film noir made trench coats, rainy nights, femmes fatales and the careers of a dozen stars, writers and directors. 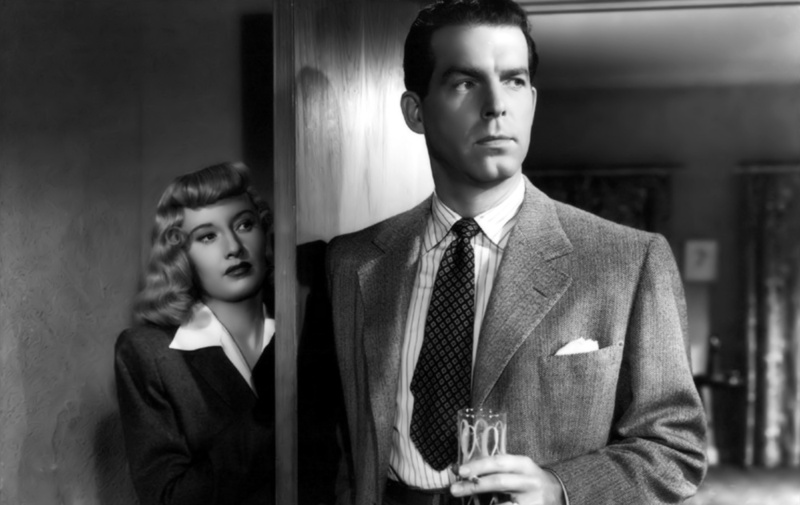 Here then, to help celebrate the 20th anniversary of Waterville’s Maine International Film Festival, is the legendary writer-director Billy Wilder’s “Double Indemnity,” starring Fred MacMurray and the great Barbara Stanwyck. Walter Neff (MacMurray) gives us a cynical insurance salesman who goes out to the Hollywood Hills to sell a policy to a businessman who isn’t home, but his wife, Phyllis (Stanwyck), is. The scene that kicks the movie into high gear is when the maid lets Neff in, and Phyllis comes to the balcony wearing only a towel — a hand towel. But to begin with, clever Wilder employed an opening he’s used before, and he pulled the same trick years later with his opening in “Sunset Boulevard,” with Bill Holden’s corpse floating in a Hollywood swimming pool as he narrated the story. In “Double,” Wilder starts with salesman Neff arriving late at his downtown L.A. office with a bullet in his shoulder. He stumbles to his desk and starts narrating his story into one of those old tube recorders. Neff is in mortal pain, and he wants you to know how it happened. Neff will have a couple more meetings with the lady of the house when Phyllis’ husband keeps missing appointments. Then the heat between them starts like a cigarette thrown into an empty building, and before it’s over, a whole neighborhood burns down. Something will, and it starts with that softly purred remark. After a brief gin-enhanced conversation, Neff knows where this street is going and leaves. But Phyllis’ perfume follows him, and when his doorbell rings on a rainy night (It wouldn’t be noir without a rainy night), the film bubbles up. Together they plan her husband’s death. Neff knows that his boss, an even more cynical and incorruptible professional, will smell the slightest mistakes, so he plans the murder in rich detail. 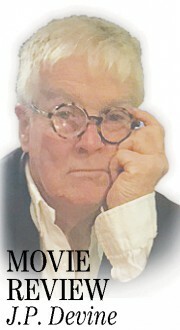 It will be full of nooks and crannies, near slips and catch-your-breath-close calls, Billy Wilder’s specialty. If you are old enough, or young and studious enough, to appreciate the forces involved here, “Double” will be your cup of gin. The book was written by the great James M. Cain (”The Postman Always Rings Twice”), who added a few lines to it. Then Raymond Chandler, the grand master of noir literature that always got turned into film — “The Big Sleep,” “The Long Goodbye” and “Farewell, My Lovely,” among a dozen others — joined Wilder in completing the script. Let us not forget the magic camera of John Seitz, who captured Wilder’s “Lost Weekend” and “Sunset Boulevard” and three of the legendary Preston Sturges’ greatest comedies. When you feel yourself carried away in “Double,” you can give a lot of credit to the haunting score of Miklos Rozsa (”Ben Hur”). At the 17th Academy Awards in 1945, “Double Indemnity” was nominated for seven Oscars, including Best Film, and didn’t win a one. Billy won instead for “The Lost Weekend” and Joan Crawford for “Mildred Pierce,” a classic film that occasionally slips into noir. So nobody in “Double” went home with a statue; but to this day, it’s “Indemnity” that people still talk about when they talk about noir, and Stanwyck when they talk about the greatest stars.